All projects are created with the client’s direction in mind. When working with a freelance web designer you can expect to receive personalized and attentive service. In today’s age of technology having a professional-looking site is key. Many consumers now turn to online search engines for information prior to their business decisions. What would it say about your business if you were nowhere to be found? It wouldn’t make a good first impression. There are many benefits to working with a freelancer to build or maintain your website. Cost, efficiency, consistency, communication and quality are at the top of that list. I offer hands on design service, especially tailored to your individual needs. I pride myself on providing the personalized service of a freelance designer and developer, at a price that you can afford. Websites are my passion. Whether you’re in need of something new or a fresh update, I can create a website that will impress your visitors. No matter where you are in your project, I can support your goals at any stage. Today, a mobile friendly website is an absolute must. Responsive sites are designed to be beautiful and functional across many different platforms. This ensures the best user experience for your visitors. Although I am a freelance Hawaii web designer I’m not bound to any time zones or limited to an 8 hour work day. Your project’s needs decides where I need to be and how many hours of sleep I get. Basically, I always go the extra mile. I offer my clients comprehensive and reliable support throughout the entire process from start to finish…and then some. However, if I don’t know the answer to your questions – I will do what I can to find out. Hi. I’m joy & I like to make stuff. 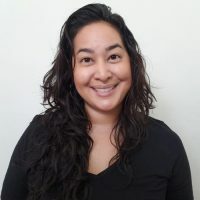 Aloha, I am a freelance Hawaii web designer and developer located on the beautiful island of Maui. Where the skies are blue, the palm trees sway and spam is a pretty big deal. I enjoy furthering my knowledge and helping others with my craft and inspired ideas. When I work with a client their project becomes my project. I take special care to ensure that we have a positive working experience together and that my client’s goals are realized. Most importantly, at a budget that they can afford. So whether you have the need for branding, are looking to create a web presence, or if you need to freshen up your existing site, I can assist you to accomplish your needs. Contact me today to discuss your ideas, I look forward to working together! "Joy did a great job. She was able to complete the project on time and on budget with little direction." "A pleasure to work with and does great work!! I would hire Joy again in a heartbeat." "Joy exceeded my expectations. She is a very competent designer and knows Wordpress. She finished the project quickly and is so pleasant to work with. She went above and beyond!" "Joy is a total delight to work with. From our very first conversation she was clear and professional. Her communication is impeccable and she was beyond patient with my many questions and confusions as she steered me towards an enormously improved personal website."